If you would like not to get too bored while cleaning your bathrooms, it is better to follow with this order through the bathroom cleanup process. Remember that similar approach can used to any areas of home or housekeeping. We also are trying concentrate one the purely natural green cleaning products. 1. Begin with the curtains. Get rid of the curtains, soak them in soapy liquid and leave them for a while. 2. Then, collect all kinds of bottles, jars and brushes and add every one of them in a large bowl. 3. Using the bath detergent composition to the surface sinks. This can be a special powder, or basically diluted to the state of toothpaste washing powder. You’ll be able to prepare yourself your own solution by putting a baking or washing soda with soap. Leave the top bath tab like that for a 30 minutes with no cleaning it up. 4. Pour the same solution we used to wash bath tab inside of the toilet bowl. Then for some time. 5. Taking care of mirrors and shelves. 6. Now wash off with washing liquid tubs and sinks. For Bath and sink is easier to work with a nylon brush or sponge. 7. Clean the bathroom . bowl by brushing inside, then wash off the outside the washing solution and erase it clean. 8. Taking care of a floor. 9. Finally place all the bottles in places they belong. A handful number of details. If your tub is very dirty, then adding the liquid ammonia to the washing solution will help a good deal. Let it rest no less than 10 minutes, then rinse. In case your tub is not really white color anymore and appears a little bit yellowish, apply a blend of bleach slightly diluted with water and leave for some time. And a handful of words about cleanup the Toilet area. First of all, it’s preferable to clean the bathroom area daily. This is for you if you find that house cleaning is not very pleasant. Hopefully it will help you to make this process more fun. The most important thing is to start the cleaning process. The best thing is to divide the cleaning project on sub phases and to work on each cleaning phase for a few hours otherwise you might be over exhausted after the cleaning is completed (if it’s completed) and will never clean it again. Start with windows. Clean up frames, windows glass, wash curtains and clean up on windowsills. Organize closets. You might start enjoying that if are not trying to finish it in a record time. Plus while you are doing you may find a few things you probably thought were lost forever. My advice, while you sorting your clothes, perhaps it’s time to get rid of some of the old stuff otherwise it will take you another week to reorganize your very old things from one shelf to another. While you are cleaning closets you may also whip out the web in the ceiling corners. 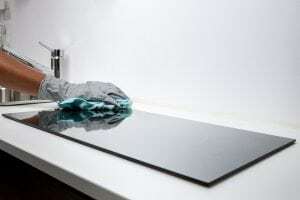 Cleaning the bathrooms start with tile then move to cleaning sinks and toilets. Take a look at the medicine cabinets, there is always a few empty shampoo or conditioner bottles that need to be thrown away. Make sure there is nothing you don’t need stays on the shelves of your walk-in closet (if you have one). Shoes should go into the shoe boxes. Umbrellas, gloves, note books – everything should find its place. If you find shoes or clothes you have not been wearing for a long time, get rid of it. Use the same policy for worn off slippers. When everything is in order, it’s time for a vacuum cleaner. After cleaning the carpet don’t forget to vacuum soft furniture such as chairs and sofas. Don’t forget to move out the furniture from the wall and vacuum behind the furniture. Wet cleaning needs to be done at the end. This is much quicker then everything that had to be done before. After everything is done you should make sure you can find your car keys, a cell phone and a valet or a purse. Now you know how to clean up your house. and hopefully is not exhausted. Welcome to Finest European Maids Blog! There are many options for maid and cleaning services in Tampa and St.Petersburg, but there is only one that stands out as the rest. 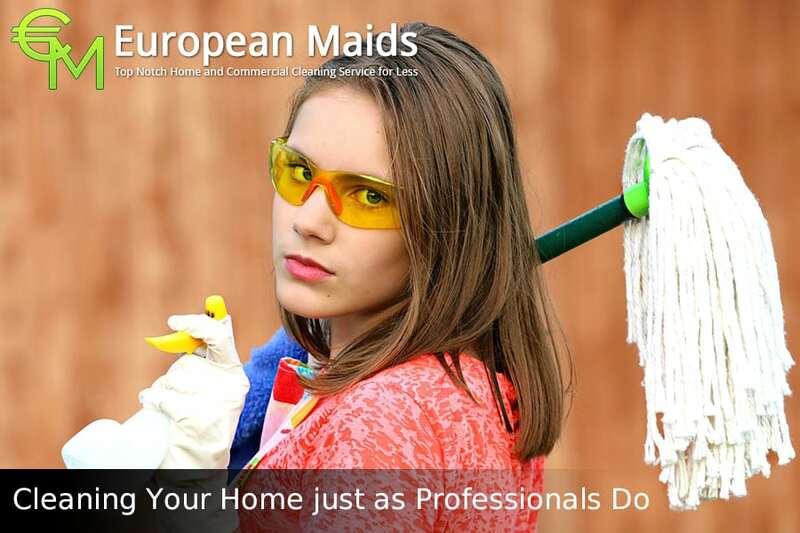 It’s Finest European Maids Cleaning Services of Tampa. When you hire The European Maids Home cleaning service in Tampa, you can expect the healthiest, most thorough professional house and commercial cleaning service available. We pride ourselves on going above and beyond what other house cleaning services offer to provide you with a house or office that sparkles and shines from ceiling to floor, bathroom to kitchen! You can expect the best for less. Top notch Affordable quality service. The European Maids is a professional residential and commercial cleaning service in Tampa, Florida you can trust, not only for housekeeping and home cleaning services in Tampa. When you are looking for professional maid services to fulfill your house cleaning needs, don’t call just anybody, call the best residential cleaning service In Tampa: The Finest Maid Service Tampa. Finest professional cleaners, we normally schedule weekly, bi-weekly and monthly cleanings but can accommodate any needs. We are experts at move in’s, move outs or one time cleanings and spring cleanings. Payments are determined by job, taking into consideration size and condition of home.